In April 2018, Iain travelled to Courchevel in France, where he interviewed Antoine Motillon. 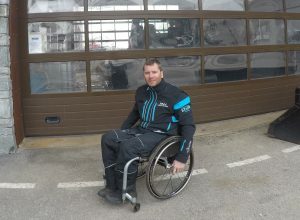 Antoine was involved in a motorcycle accident in 2004 and has been in a wheelchair since then. However, in 2017 he was given the opportunity by Courchevel to drive a specially adapted piste basher. 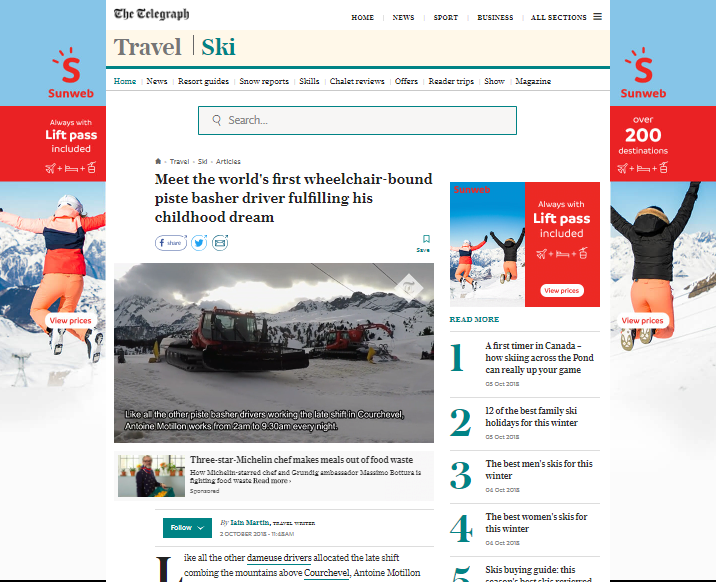 In the article recently published on The Daily Telegraph website, Antoine explains how his vehicle has been adapted to allow him to become the world’s first paraplegic piste basher driver, and about the sense of freedom his new job gives him.